My kids can be pretty fussy at time, but all of them love cheese and broccoli. Joey, who is now at CIA (Culinary Institute of America), was on a quiche kick when he learned how to make them. 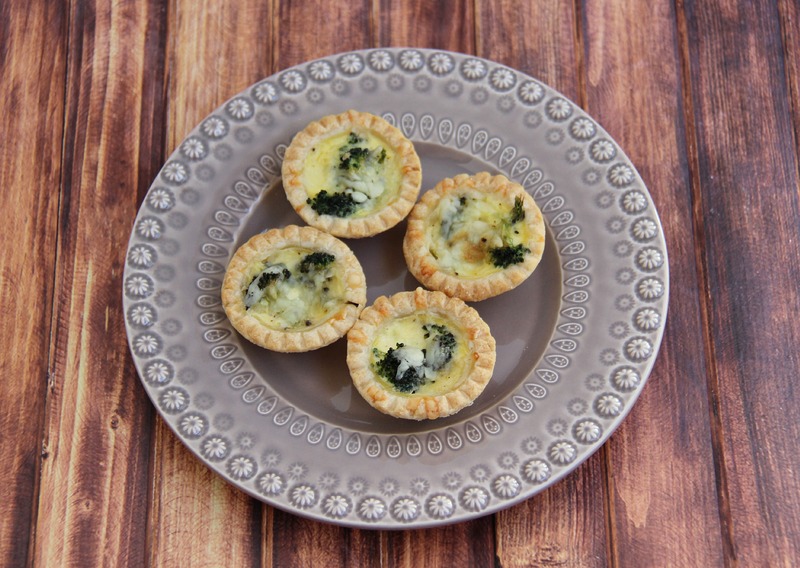 What is better than broccoli and cheddar mini quiches? 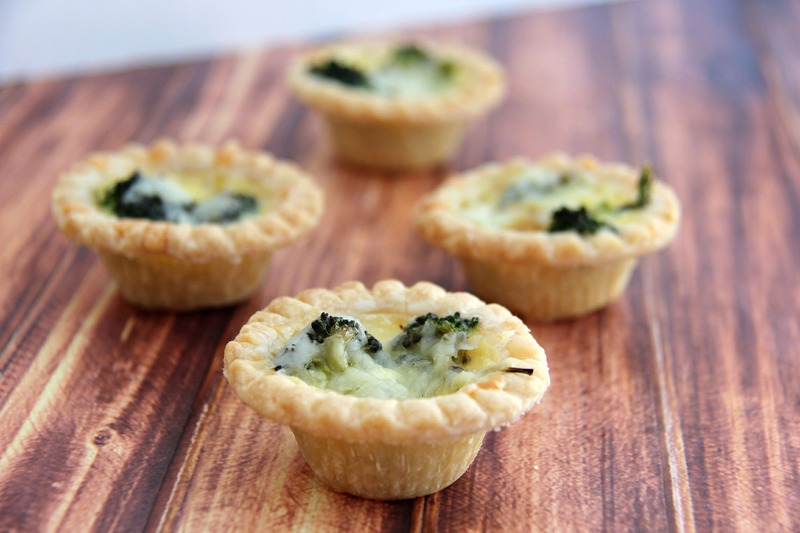 12 mini quiche shells, or make your own using pie dough. You can use this mini tart pan to create little quiches. It makes the tarts look so pretty. Defrost mini quiche shells at room temperature. Whisk egg, milk, salt, pepper until combined. Place a bit of cheese on the bottom of each shell, then a piece or two of broccoli, then cheese on the top. Pour egg mixture into each shell until a bit less than full. Bake for 12-15 minutes until you can insert a toothpick.